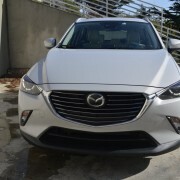 Mazda’s corporate philosophy is diametrically opposed to the notion of the self-driving vehicle. 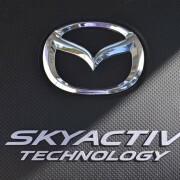 In fact, this company has for years been using the slogan “Driving Matters” as their company motto. 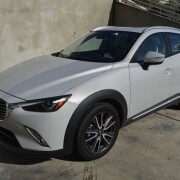 Mazda’s affirmative take on the art of driving permeates everything they build, from the nimblest sports roadster like the MX-5 to their largest SUV, the CX-9. 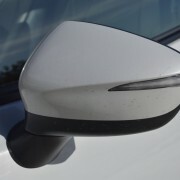 Let’s say you were allowed to drive 5 competing mini sports utilities, but were kept from seeing the name of the manufacturer during your test drive. 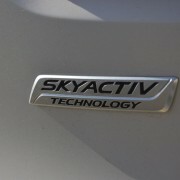 Only one of the five would communicate its maker so clearly you wouldn’t need a nameplate to identify it.  That would be Mazda. 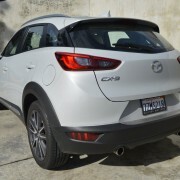 In the case of the comparatively inexpensive ($25,165 base price) Mazda CX-3, everything about the driving experience instantly makes you realize that even this company’s smallest sports utility shares the refined genetic imprinting common to the all members of Club Mazda: excellent steering feel and feedback, choppy but precise ride and handling, excellent throttle response, willing but slightly underpowered engine, sharp exterior contours, and finally, fuel frugality. 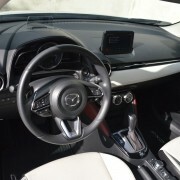 There are even a couple of common shortcomings to membership in Club Mazda, with ergonomic confusion a baffling common denominator. 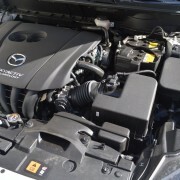 Let’s start with the steering feedback of the MX-3. 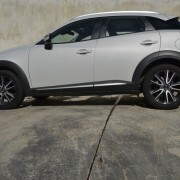 Run this short sport utility through a couple of slalom gates and you will instantly recognize this boxy and tall contrivance is intimately related to the Miata sports car. 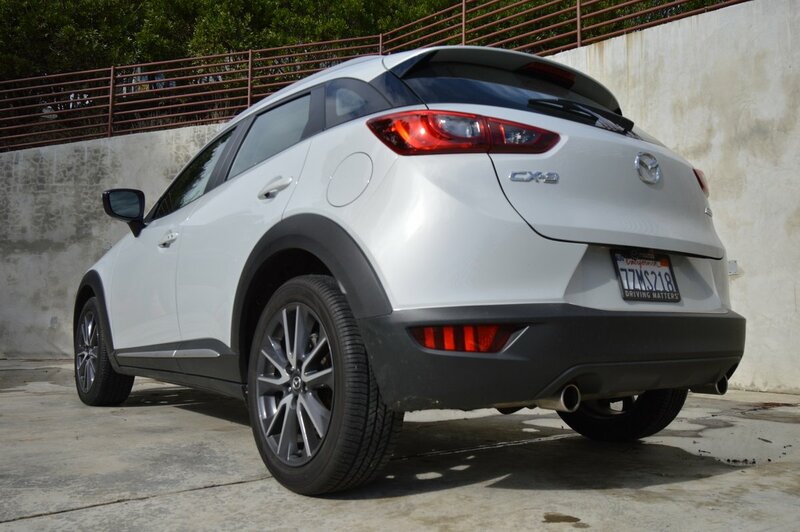 Like the MX-5, the CX-3 responds to the slightest input at the steering wheel. 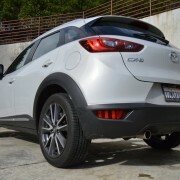 There’s the same compelling liveliness to the steering geometry here that you’d find in the Miata. 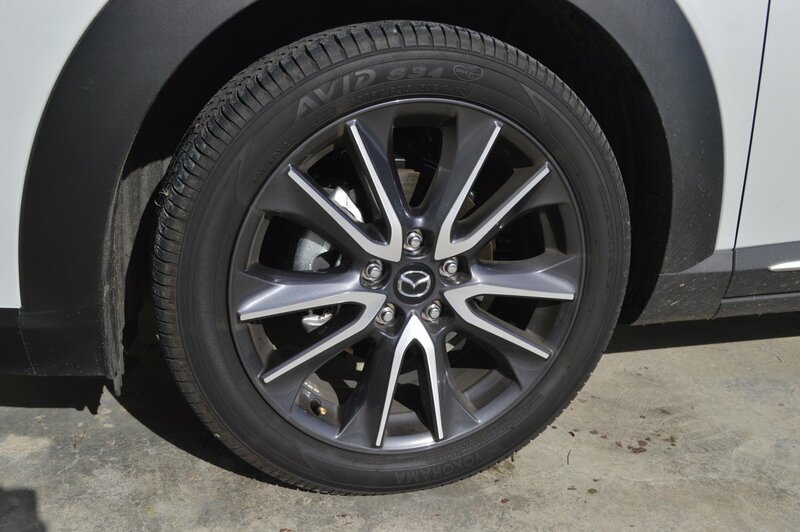 Not only that, but the grip at the contact patches of the excellent and sticky (Treadwear 320) Yokohama Avid S34 tires (215/50R18) encourage you to attempt some serious artistry on twisty roads despite the fact that you’re driving an SUV and not a sports car. 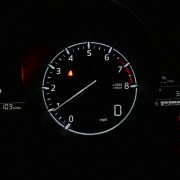 The CX-3 even offers a “Sport” setting from a control on the center console that livens steering feedback an extra notch, ups shift points to higher rpm, and generally stiffens the ride quality to snub unwonted body motion. 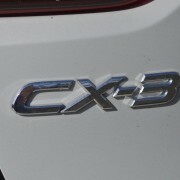 That makes the CX-3 the sports car of sports utilities. 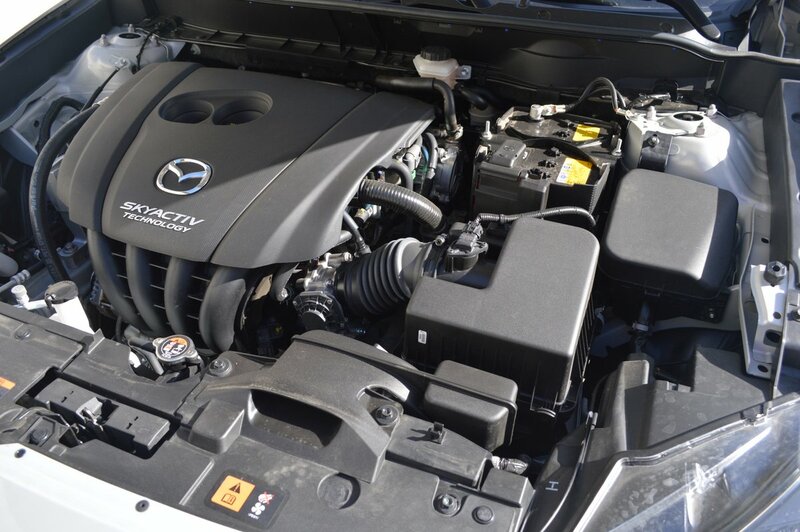 While the 2.0 liter engine, at 146hp and 146lb.-ft. of torque will hardly pin your ears back when you floor the throttle, it gets the job done if you are adept at selecting the right gear of the 6 available speeds for each occasion. 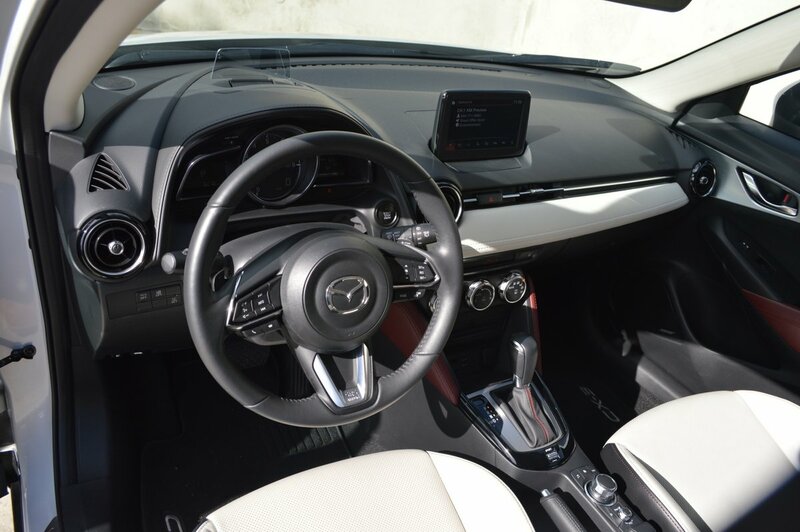 Mazda assists your endeavor by providing a manual gate on the left side of the floor mounted stick shift, plus diminutive plastic paddles adjacent to the steering wheel rim. 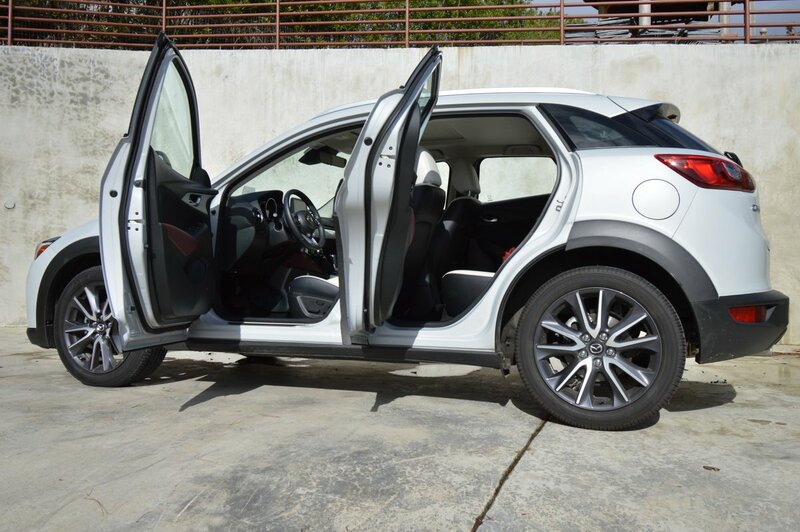 While I wouldn’t advise pulling out to pass an 18 wheeler on a two lane road, this CX-3 is certainly qualified for just about any other passing chore you might have in mind. 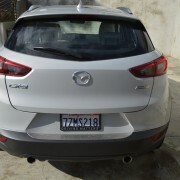 It accelerates briskly to freeway cruising speed, and since our test model was equipped with the optional ($1,435) Premium Package, we enjoyed Radar Cruise Control to pace freeway traffic effortlessly. 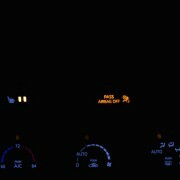 Your investment in this package also provides a welcome and very toasty heated steering wheel, a 6 way power driver’s seat, 2 memory positions for that seat, lane departure warning, and traffic sign recognition which displays (along with speed) on the head up screen in your line of sight. 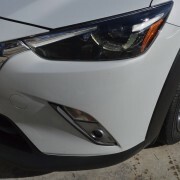 Along with the positive reinforcement from the Mazda DNA comes a rather curious design oversight that afflicts both the Miata and this CX-3. 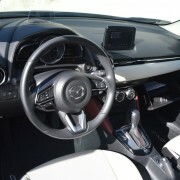 That would be the curious placement of what Mazda calls the “Multi Function Commander Control” which is well hidden on the console between the front seats. 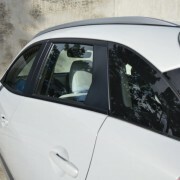 Jiggling or twisting this unit into action while driving is best left to your passenger, if you have one. 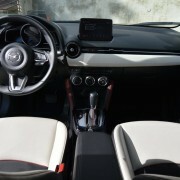 Otherwise, its use will divert too much of your attention from the art of driving, which, as you may recall, “matters.” Moreover, the volume control knob for the infotainment system is buried even more inconspicuously behind the master knob for the Commander Control. And to top it all off, a rather flimsy armrest sits precariously above the knobs, shielding them from view unless pivoted out of the way. 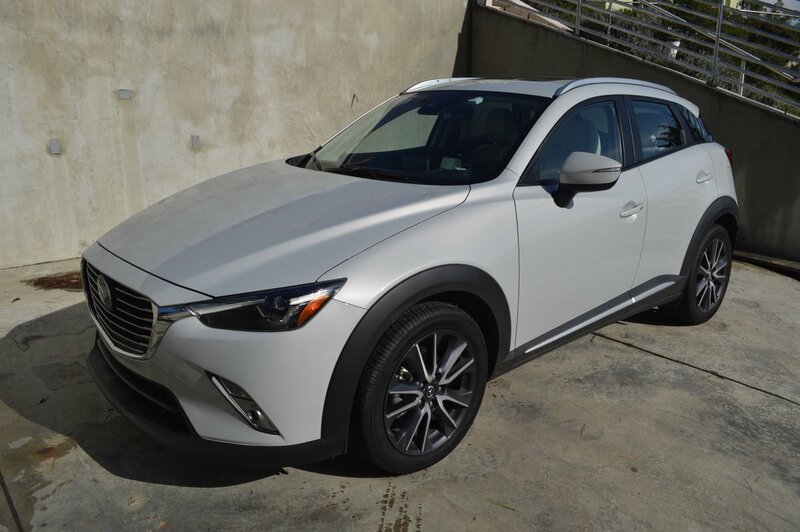 But really, this minor problem detracts very little from your overall enjoyment of the CX-3′s fine performance, accurate handling and incredible practicality. 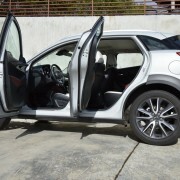 If you chose to drop the rear seat backs flat, you will avail yourself of a startling 18 cubic feet of storage volume. We particularly liked the large flat padded storage compartment that lies hidden just beneath the apparent floor of the trunk. The perfect place to keep your Rembrandt out of sight. 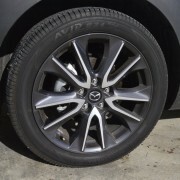 Mazda even looks after you well in emergencies by providing a space saver spare tire, jack and lug wrench – an increasingly rare set of accessories these days.